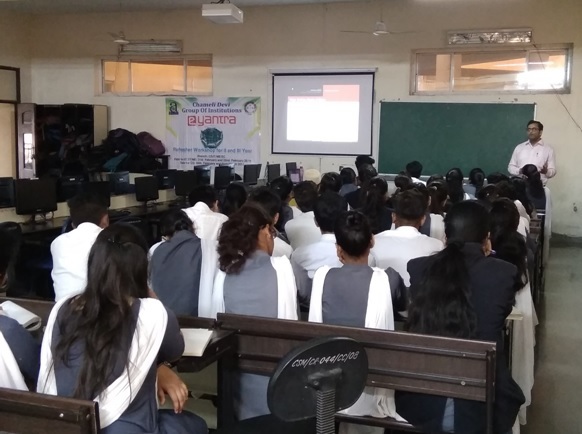 e-Yantra Project is an initiative by IIT Bombay that aims to create the next generation of embedded systems engineers with a practical outlook to help provide practical solutions to some of the real world problems. The Ministry of Human Resource Development (MHRD) sponsors E-Yantra under the National Mission for ICT in Education (NMEICT) program. 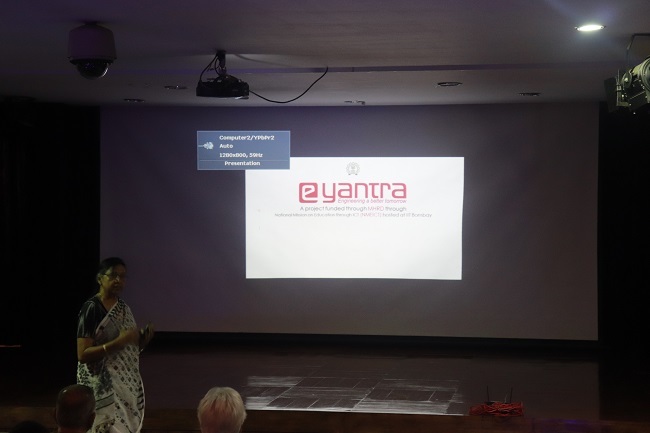 IIT Bombay envisages the 'e-Yantra' platform to harness the intellectual talent of young India to create utility based robotic applications for usage across variety of applications such as: agriculture, manufacturing, defense, home, city maintenance and services industries. 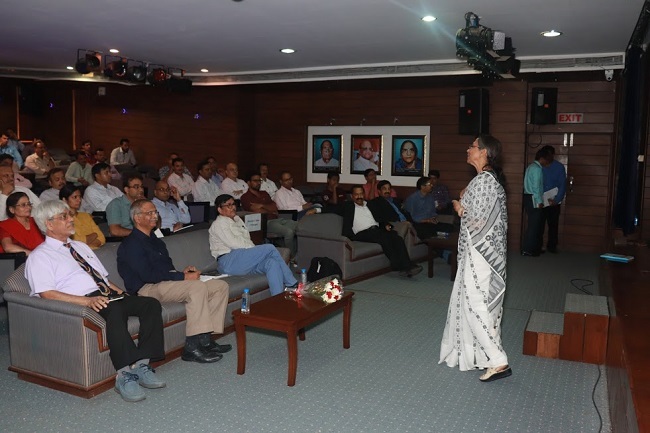 The overall mission is to grow a rich eco-system of ideas and applications that can propel India's growth curve and productivity through intelligent funneling of robotics in daily living built upon an existing pool of knowledge developed by students working on such projects at engineering colleges in the area of embedded systems. 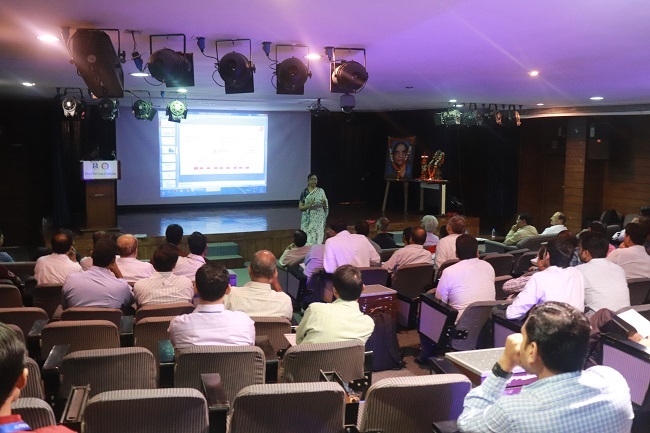 Chameli Devi Group of Institutions has taken an initiative to setup e-Yantra Robotics Lab under e-Yantra Lab Set-up Initiative (eLSI) by IIT Bombay. 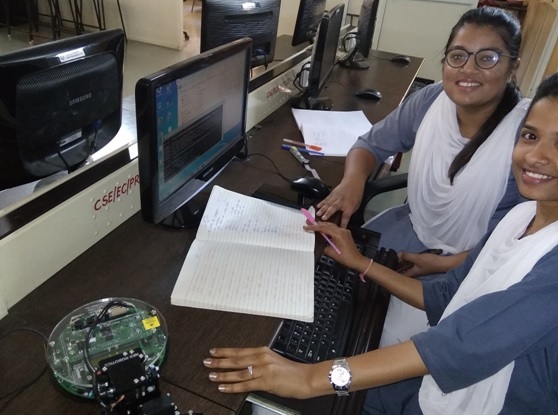 CDGI e-Yantra Robotics Lab trains the students in embedded systems and micro-controller programming by engaging them through the Project Based Learning (PBL) mode. • It provides platform to design, develop, program and test of robots to various applications. • Students can participate in national and international robotics competitions. • Improve BE projects with help of e-Yantra open source community. • Exposure to job opportunities in robotics. • Encourage to use robots to solve real life problems. Inaugration of E- Yantra Robotics Lab on 18 Dec 2018 by Director Sir Dr. Joy Banerjee, Dean Sir Dr. K.S.Jairaj and DIR head Prof. K. Srikant. • Team members has attended the two days workshop on “Introduction to Robotics” conducted by IIT Bombay at CDGI, Indore during 13-14 July 2018. • e-Yantra Robotics Competition (eYRC): Engages students using Project Based Learning (PBL) to implement a solution to a real world problem. Robots, accessories, training material, and rulebook are given to teams selected for participation, free of cost. • e-Yantra TBT (eYTBT): Engages teachers through a hands-on project implementation exercise with exciting prizes and certificates. This year CDGI score second position in TBT 2019. 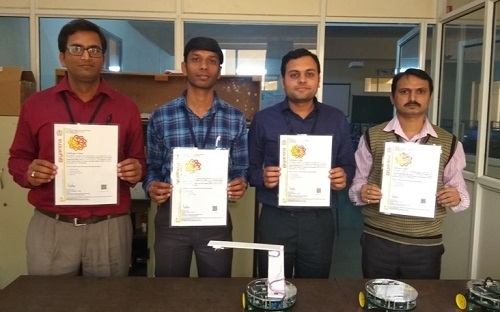 • e-Yantra Ideas Competition (eYIC): Solicits ideas from teams from eLSI family of colleges to encourage innovative projects and sustained use of the Robotics labs set up through eLSI. 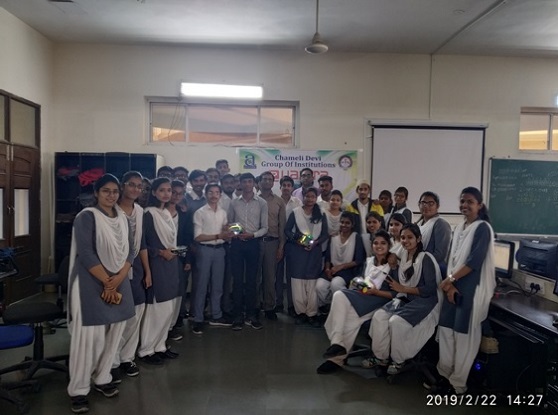 • eYantra Team from CDGI Train 90 students belongs to CS, IT, EC and ME Branch students thereby conducting 2 Days Workshop. In this workshop students get training for using the Firebird V Robot.